On February 2, 2014 will be the Super Bowl XLVIII 2014. The event will be held at MetLife Stadium, East Rutherford, New Jersey where the ticket holders will receive a gift bag which inside is consist of different stuff like lip balm, seat cushion, three pairs of hand and foot warmers, tissues and mufflers. Because Super Bowl 2014 will be held first time in the outdoors, National Football League Vice President Frank Supovitz for the preparation of the game said that they cannot provide a coat for the viewers but they instead encourage them to stay in their seats and enjoy watching the show using the seat cushion inside the gift bag given to them entering the stadium. People were asking if the Super Bowl is for the fans then why is that they held this event outdoors that will cause the viewers to be distracted while watching the show due to the climate. Many coat-makers will take advantage of this opportunity to sell their coat outside the stadium for the fact that Super Bowl officials cannot provide the coat for the people. Many hotels surrounding the stadium are preparing for their rooms to be occupied by those tourists who came from far places. The prices of hotel rooms are already increasing and they inform the viewers from faraway lands of the Super Bowl to book their rooms early this time. Even though the prices are going up, hotel owners are very concerned about the fact that the rooms will be fully occupied and many viewers from far away lands cannot reside anymore. The officials are still depending on the weather. They can finalize their plan for the last minute after making sure of the weather status. Officials also informed those people who will bring their kids to monitor them always. The expected viewers of the Super Bowl are more than 100,000. So parents of those kids were warned already to look for their children’s security. For those viewers on television, they can watch the Super Bowl 2014 on TV at this particular starting time 6:30 p.m. Eastern Time, 5:30 p.m. Central Time, 4:30 p.m. Mountain Time, and 3:30 p.m. Pacific Time. Fans across the whole region will be aided by the most extensive public transportation. Stalls for those who are selling jersey will also take advantage during the game. Food stalls are also in the line. Well, obviously, people will be going to have their meal outside rather than bringing food inside the stadium but there are also some of those that will bring food inside the stadium to really witness the biggest and extravagant event of the year. The Halftime Show of the SuperBowl 2014 will be performed by Bruno Mars. Yes, it will be Bruno Mars this time. The NFL already made an announcement that it will be Mars who will join FOX co-host Terry Bradshaw and Michael Strahan in the Times Square. Bruno Mars is one of the top music artists of today’s performers. The Grammy-winner with his band, The Hooligans, will perform live at the Super Bowl 2014. He said that it is an honor to be the one chosen to perform at the Super Bowl and they will surely celebrate for this announcement. Bruno Mars’ popular piece “When I was your man” became the most played song of the year. His singles were sold over 155 million worldwide. Mars will play plenty of songs from this year’s most-watched musical event. Many fans were screaming when they found out that it was Mars who will perform at the Super Bowl 2014. Mars, 27, with styles from pop to reggae will join the roster of music legends. Music legends like Madonna, Prince and Bruce Springsteen. The Hawaiian born singer with a real name of Peter Gene Hernandez is a 14-time Grammy nominee and a winner. Who will be the hailed Super Bowl XLVIII football team winner of 2014? Well, that is absolutely the most tarrying questions of all. People around the globe and of those who will watch the game has its own predictions of next year’s game. Different fans of both teams said that their team will surely to win the game and the loser will definitely be ashamed. Commercial ads for the Super Bowl 2014 are also highly awaited. The fans of the Ravens, Rams, Colts, Redskins and Panthers, the last team before the odds go over the undo cliff and at 66-1 are having a frozen feeling for their chosen teams. Members of each team are having their own special techniques for making their way to the top. As the event is fast approaching, players are having a hard time in their practice and daily exercise. Well, football players also need to be physically strong to clear those who will get in their way. They are required to eat only healthy and non-greasy foods to be physically fit. They should show the world what they deserve to be. Also whose commercial advertisement will be the winner and will claim the prize of a millionaire? There are already more than few of advertisers known to appear in the Super Bowl 2014. Their plans and extensive preparations will soon be uncovered. Each ad will be charged of $4 Million of every 30 second spot. 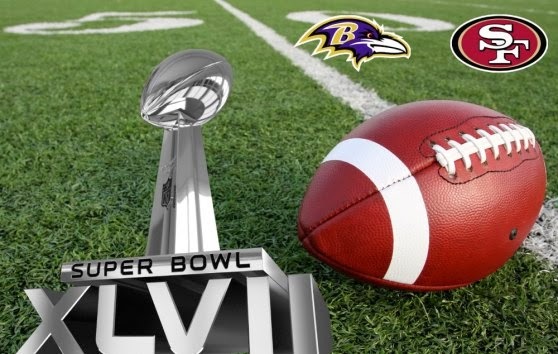 The Super Bowl 2014 will be an event that will surely leave a mark on the Super Bowl history. The officials stated that their preparations will cause zero-damage unlike the recent blackout issue of the NFL game. They assure the viewers of the inhibit respirations that they will witness for the game next year. Another breathtaking competition also is on the line. Performances of those music legends are highly expected. Pressures from the event organizers are increasing as the event is fast approaching. Even the broadcasting companies who will cover the Super Bowl 2014 are being pressured. Viewers who will not be watching the game are expecting that those broadcasting companies will provide a high quality of service. Sunday on the 2nd day of February 2014 will be the judgment day.